For this OSD board replacement, you will need a medium sized Phillip’s screwdriver and a small bowl to hold the screws that are removed. Whether your unit is on a base, wall mount or arm, you will start by removing the unit from that mount. Once the unit is off the mount, you will want to lay it face down on a clean surface, so the touch glass does not get damaged during the board replacement. Start by removing the 8 black screws holding the rear plastic housing in place. Once they are removed, lift the housing from the bottom. There will be two small clips at the top that are released by putting upward pressure on the housing. If your unit has an optical drive, you will lift the left side of the plastic and slide the housing off the optical drive. Set the housing to the side. Next, Remove the retaining screw above the HDMI port. 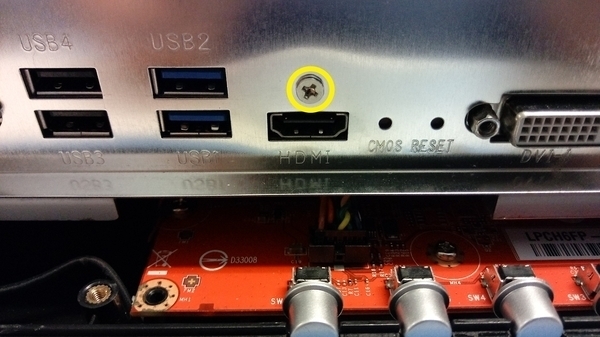 This is very important as the HDMI port can be damaged if the EMI shield is lifted while this screw is in place. Now you will remove the metal EMI shield. This is done by removing the 14 screws around the edge of the EMI shield. 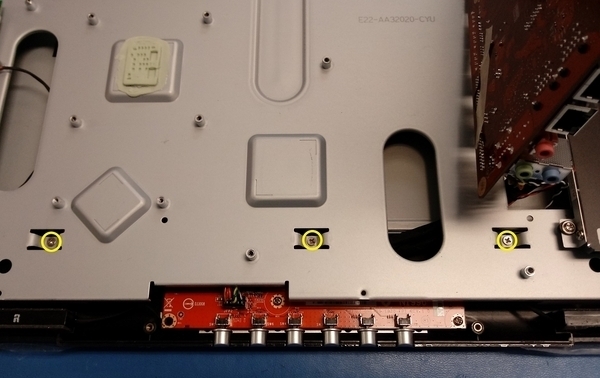 Once the screws are removed, lift the top edge of the EMI shield and slide it off the ports on the bottom and lift upward. You will feel tension from the cables connecting the 2 system fans. Reach in and disconnect the two fans and set the EMI shield to the side. Now you can see the inside of the unit. 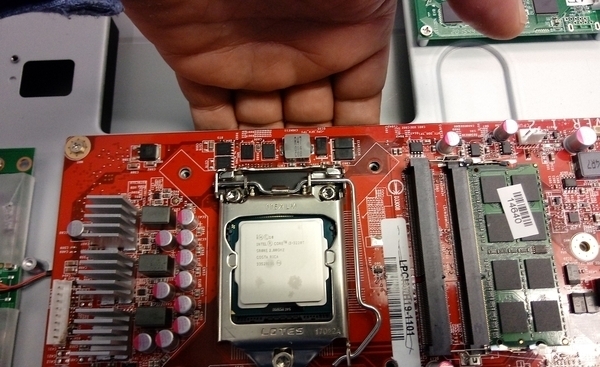 You will remove the heat sink from the CPU, by loosening the 4 spring loaded screws all the way, removing the 2 screws from the top and disconnecting the fan. Set the heat sink to the side. At this point, you will need to get under the motherboard to remove some chassis screws. Disconnect the Converter board from the left side of the motherboard and remove the 7 screws holding the motherboard in place. Once the motherboard screws have been removed and the Converter is disconnected, you can lift the left side of the motherboard and remove the 3 chassis screws found underneath. Now lay the motherboard back down and replace two of the screws, to keep the motherboard from moving around during the rest of the replacement procedure. 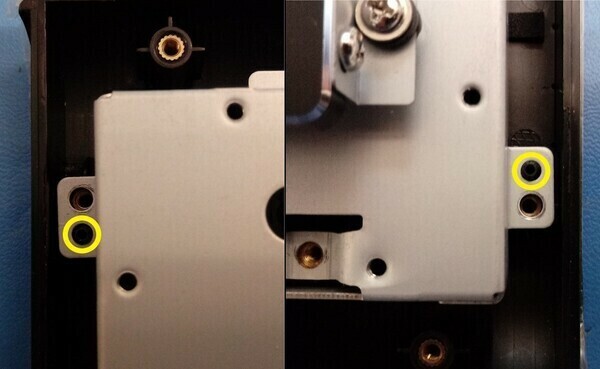 Remove the 12 screws from around the outside of the chassis, so it comes loose from the front plastic bezel. Now that the chassis is free, you will use the gap between the chassis and display panel as a grab point to lift the chassis and display assembly. You will lift the chassis and display assembly up and shift it towards the top of the unit about an inch and a half. Which will expose the top OSD board screw. 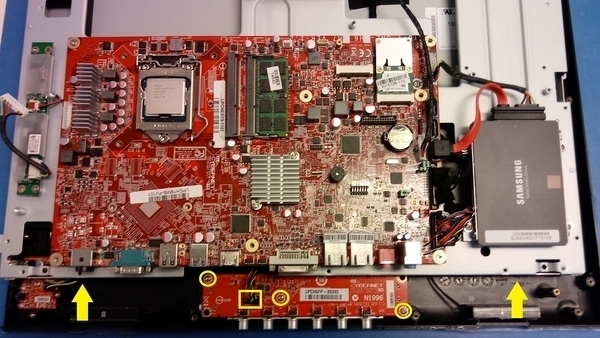 Once exposed, you will disconnect the OSD cable and remove the 3 OSD board retaining screws. You can now remove the bad OSD board and replace it with the new OSD board and reverse the previous steps, to rebuild the unit. There are a few notes below that will help with the rebuild. 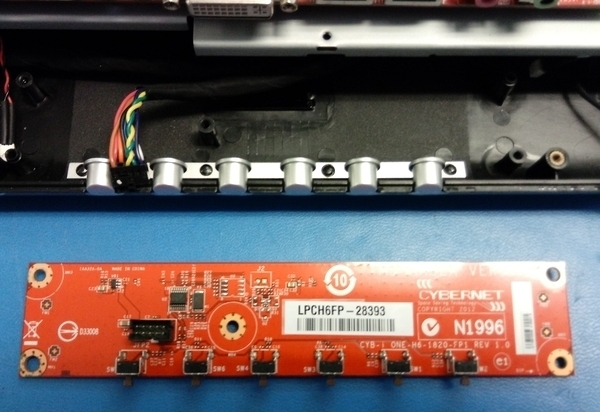 After you have installed the new OSD board, screwed it in place and reconnected the OSD cable, you will replace the chassis into the correct position by lifting it and placing it over the alignment pegs. There is one in the upper left corner and one in the lower right corner of the plastic front bezel. Once the chassis is set onto the alignment pegs, all of the screw holes should line up. Replace the 12 screws around the outside edge of the chassis. Remove the 2 screws from the motherboard, lift it and replace the 3 remaining chassis screws. Replace the motherboard and replace the 7 retaining screws and reconnect the Converter cable on the left. When you replace the heatsink, wiggle the heat sink, so the 4 spring loaded screws drop into the screw holes, then follow the pattern below. Make sure to reconnect the fan cable. 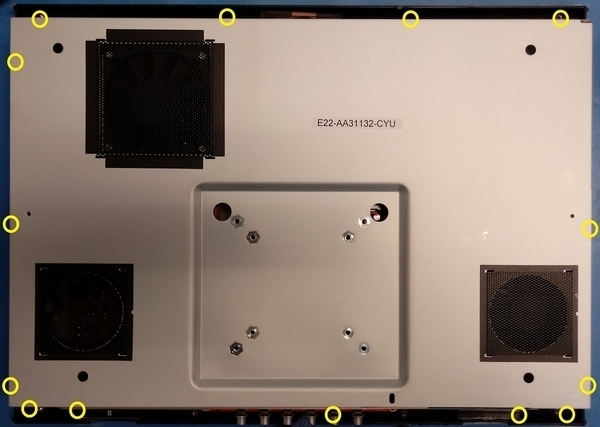 As you place the metal EMI shield back in place you will want to make sure you connect the 2 system fans. Replace the 14 screws that hold the EMI shield in place. Finally, replace the retaining screw over the HDMI port. Be very careful to not hit the HDMI port with the tip of your screwdriver. Now place the plastic rear housing into position and replace the 8 black screw to secure it. 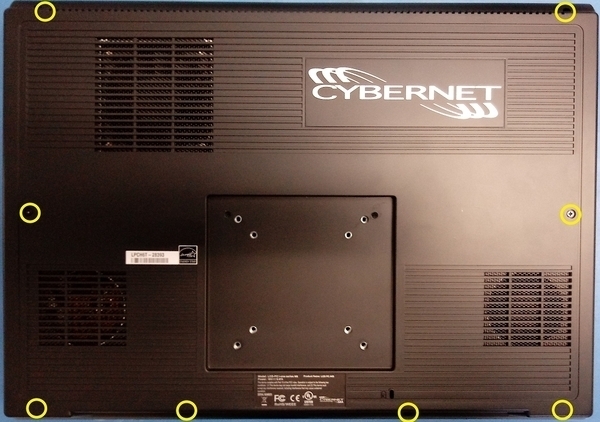 Your Front Panel OSD board replacement is now complete. All you will need to do at this point is re-mount the unit.